On a beautiful spot in Leiden center you will find this upstairs apartment on the 2nd floor, no upstairs neighbours !! The apartment has a spacious living, closed kitchen and 1 bedroom. Because the apartment has its own meters for gas, water and electricity you can choose your own supplier. 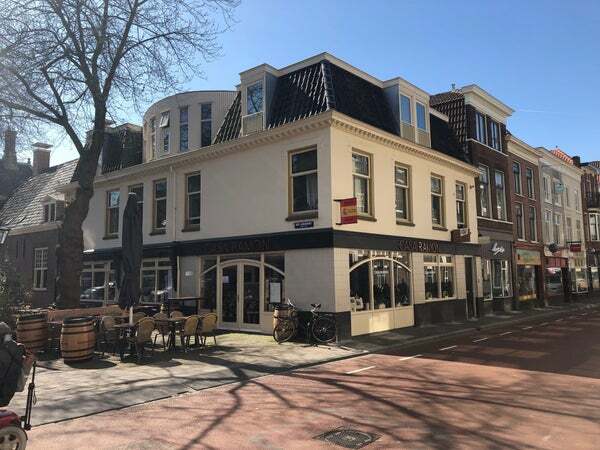 Since the apartment is situated on the corner of Noordeinde and Oude Varkensmarkt you are on a very centrally located spot in the center and the Oude Varkensmarkt is in a direct line with the Hortus Botanicus. The building has been equipped with a roof terrace for common use by the occupants and is approx. 25m2.